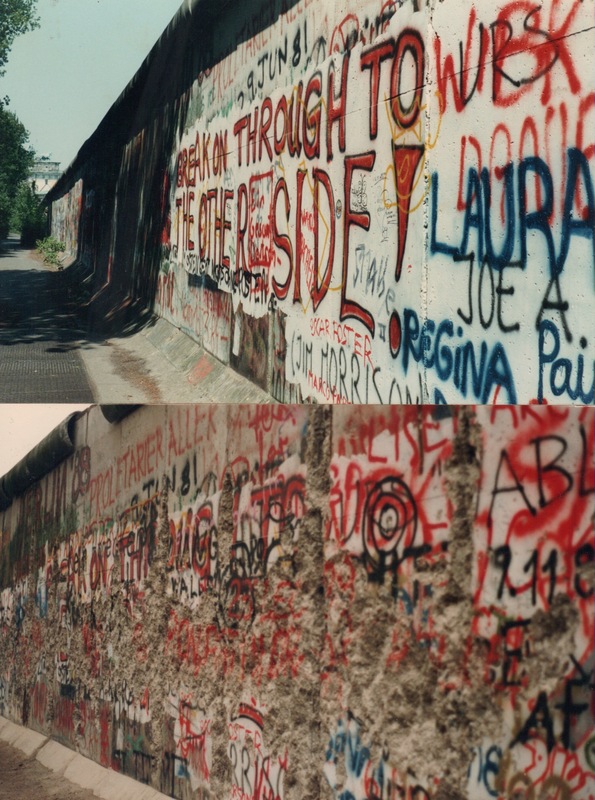 Growing up as a Cold War kid in the 1970s, I was fascinated by Berlin. 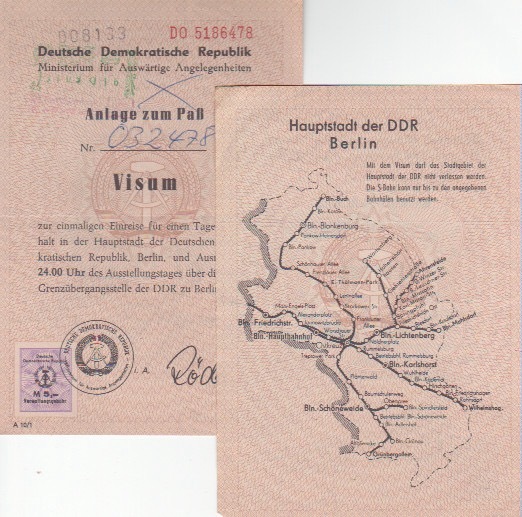 I’d read of the airlift, the city being divided then the construction of the Berlin Wall. I always wanted to visit the city. Little did I realize in the year that I did, the wall would actually come down. 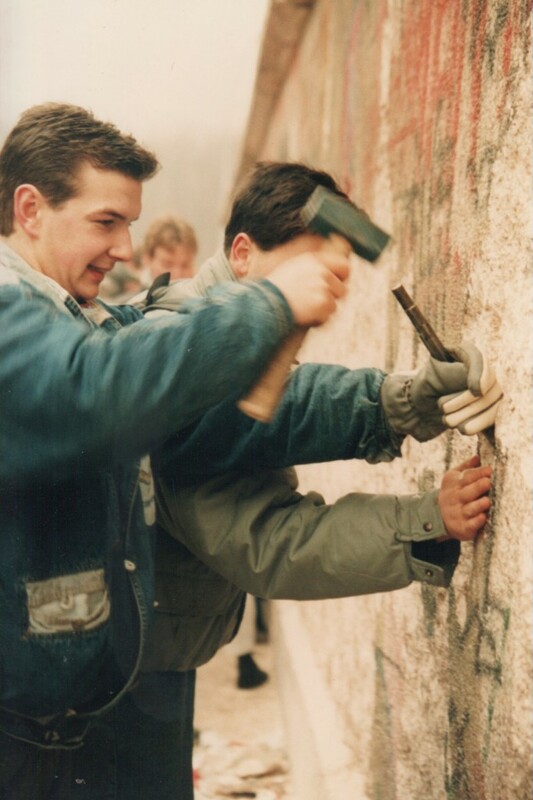 In May 1989, after spending several months working in the UK on a work permit after college, I traveled around Europe for several months with my friend Tom. In Germany, we met up with my British girlfriend (now wife) Lorna and her sister who lived in Munich. 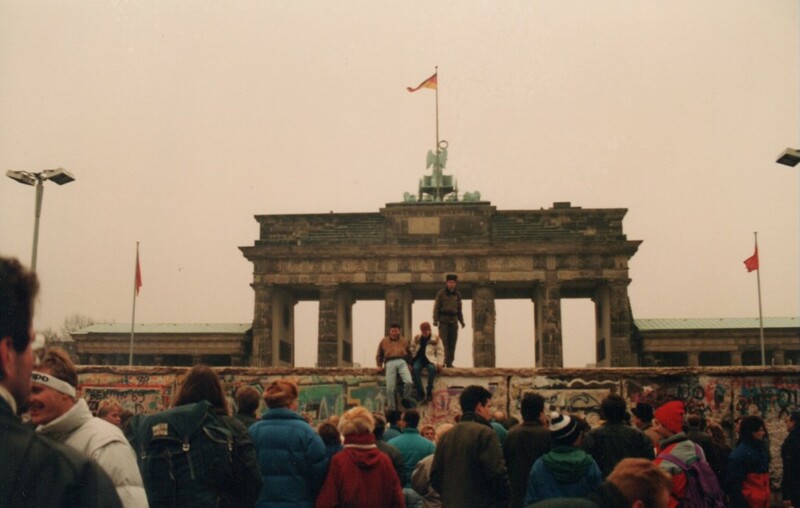 From there, we went up to Berlin. If it looks funny, that’s because I made it by taking several pictures and taping them together. That’s the way we shot panoramas back then, with film cameras and no smartphones. 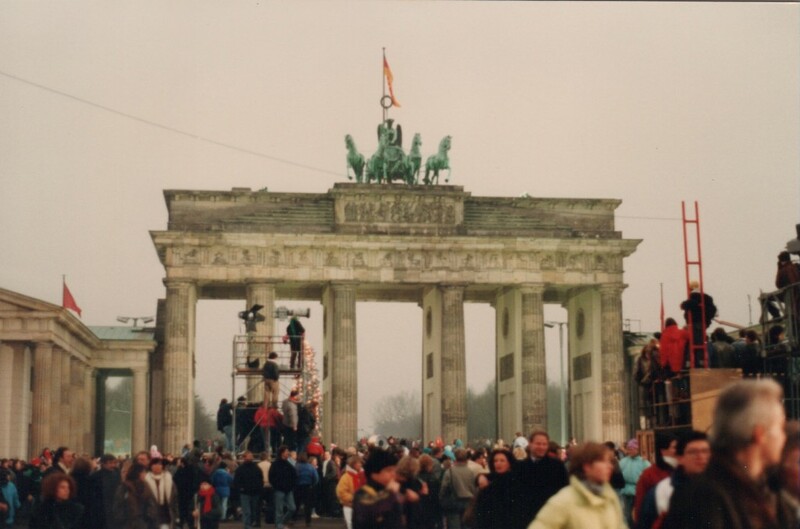 This is how the Brandenburg Gate looked, stuck in the same off-limits zone where no one was allowed. 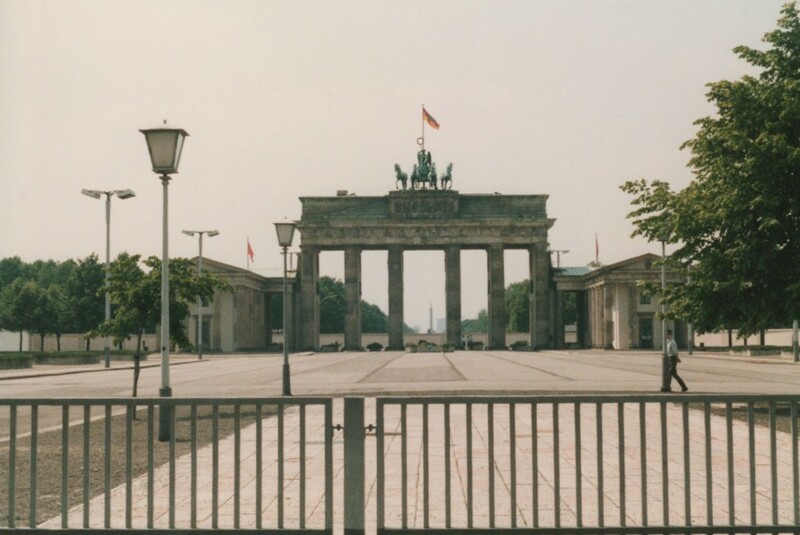 This was shot from inside East Berlin — behind the gate, you can see the actual wall. 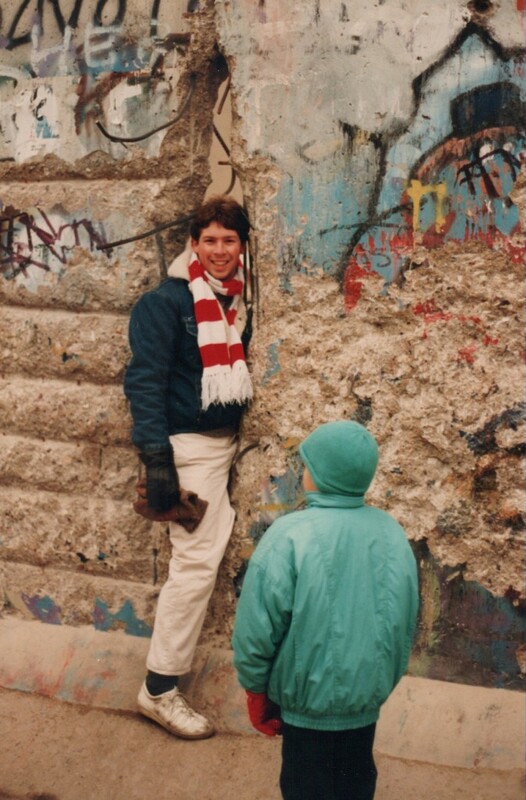 A few months later, I was back in California when the unbelievable news came — the Berlin Wall had fallen. 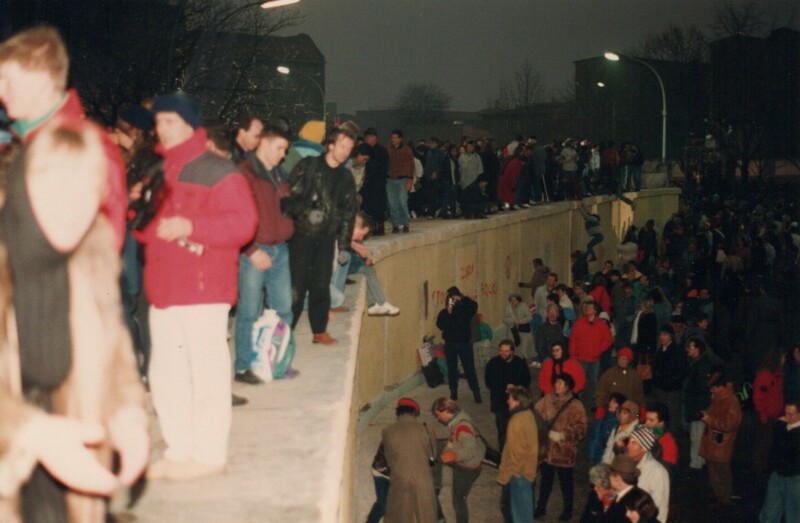 East Germans were crossing over into West Berlin and going over the wall. I’d just been there. I’d gone through Checkpoint Charlie to pass through. I’d seen the armed soldiers, the inability for people to pass freely — and nothing seemed liked that would change. Overnight, in a blink, it did. In December, I went back to visit Lorna for Christmas. 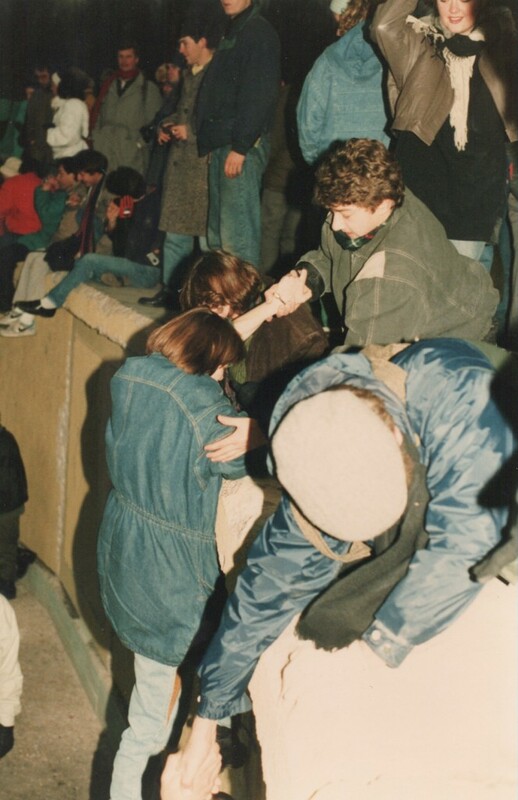 We decide that for New Year’s, there would be no better place to be than Berlin. We wanted to see the change there and how it contrasted to our visit only months before. As you can see, the wall was still up. People still weren’t just jumping over it. In fact, that’s a guard on the top telling people to get down. If you wanted to pass, you still had to go through a checkpoint. It was a great trip with only one downside — there were absolutely no rooms to be had in the city. Nothing. And the temperature was bitter cold. 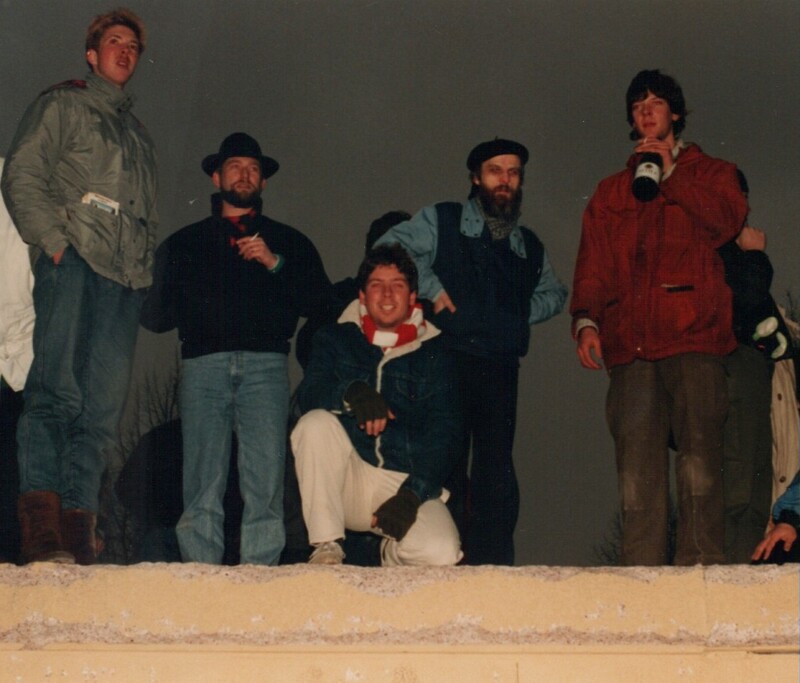 So, we trudged off cold, tired but content to the train station, where New Year’s Eve was actually celebrated as we pulled out of the station on a long night train ride back to Britain.